Providing you the best range of mini peanut roaster, seasoning / blending machine, automatic oil fryer with bhoodhi machine and groundnut / peanut decorticator machine with effective & timely delivery. 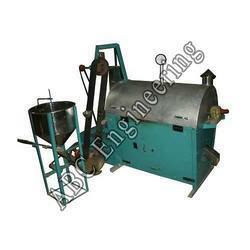 We offer high quality Groundnut Roaster Machine. Features: * Fuel: Diesel/ Gas/ Firewood * Power Requirement: 0.5 hp (varies as per capacity). Works in single and three phase. * Capacity: 40kg/hr to 600kg/hr onwards. 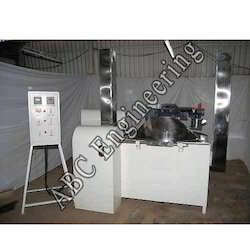 * Floor Space: 4 ft x 3 ft (varies) Application: This machine is used to roast raw groundnuts and to convert them into roasted-groundnuts, which is used for making Groundnut Bars (Chikkies) and Savories. 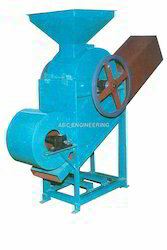 Avail from us seasoning machine which is of superior quality. These machines are constructed using premium quality material to ensure sturdiness and better durability standards. High on performance, our range can also be made as per the specific demands of the clients. We offer unique Automatic Oil Fryer With Bhoodhi Machine for our clients. Our cutting edge technology aids us in manufacturing and supplying best quality Automatic Oil Fryer that easy to operate and are in high demand all across the globe. We endeavor to satisfy our clients in the domestic as well as the international front fabricating our range as per their design and specifications. 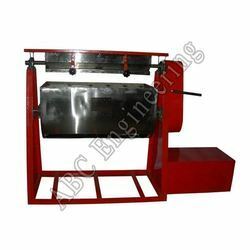 Groundnut/Peanut Decorticator Machine is a machine for stripping the skin, bark, or rind off nuts, We hold expertise in offering decorticator machine, which is used to strip the skin off the husk, in order to facilitate further processing. In other words, this machine is used to beat the husk, so that fiber can be extracted out of it. However, beating damages the fiber and shortens its length. The fact that husk length is taken into account, while calculating the length of the fiber makes up for it.